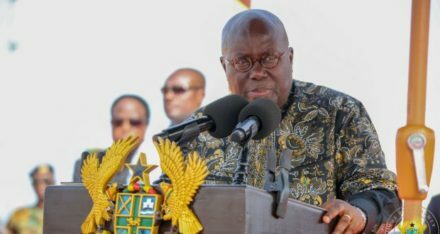 Ghana’s President Nana Addo Dankwa Akufo-Addo has announced that he has given the go-ahead for the process to start on examining how to implement the teaching of French in the Ghanaian education system, from primary to senior high school education levels. “We’ll want to make French a compulsory language in our schools right until the end of the Senior High School … To me, it is absolutely essential that we do so, so that we empower our own population with the capacity to survive in this ECOWAS environment,” said the president in a speech in Togo during a regional tour . Essentially it comes down to trade, commerce and sharing of information with close neighbours. Ghana is bordered by Francophile, French-speaking countries, including Togo, Ivory Coast and Burkina Faso. On top of that Ghana is also a member of the ECOWAS that includes eight French-speaking countries out of the fifteen members. Ghana is mainly and English speaking nation with its local tribal languages such as Twi, Ewe and Ga. French is currently only taught along with these local languages and at higher education is not compulsory, i.e. it is only an option. Does Everyone Want to Learn French? Although the announcement has been well received by many, there are also many who question the decision, citing that the making of the French language compulsory will be at the expense of other African languages. The Managing Editor of the Insight Newspaper Kwesi Prat Jr has said the government should make the study of Hausa compulsory instead of French, arguing that it is widely spoken in West Africa than French. 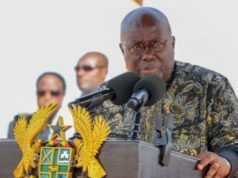 A lecturer at the Institute of African Studies of the University of Ghana, Dr. Obadele Kambo, also told the local radio station Citi FM that the African unity goal will be promoted by the study of African languages instead. “If we can really start to understand that we are African people, then we can go beyond just looking at the Western languages of our colonial enemies and western languages of our villages to actually learning other African languages. And when we do that, we will be building African collectiveness,” he said.